Over the years, Chicago has become one of my favorite cities in the U.S. With great public transportation, amazing pizza, fantastic entertainment options like improv and blues, and a picturesque location on Lake Michigan, Chicago wins a lot of points in my book. Another thing the Windy City has going for it? Interesting architecture. Chicago's skyline truly does represent the marriage of old and new. 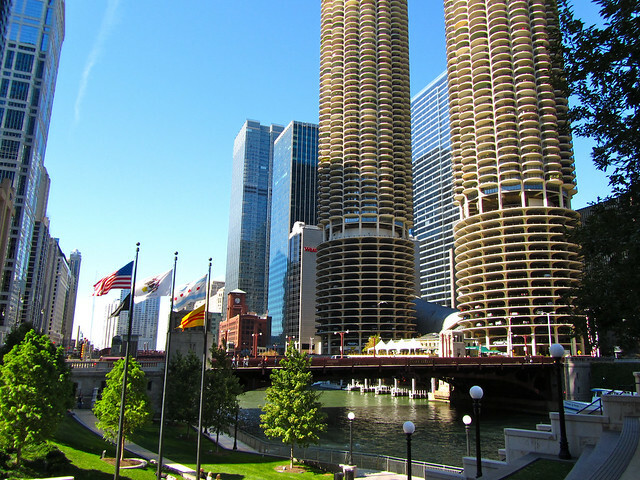 Buildings like the 1920s Tribune Tower sit next to the 1960s-era “corncobs” of Marina City and the sleek and shiny Trump Tower of the new millennium. 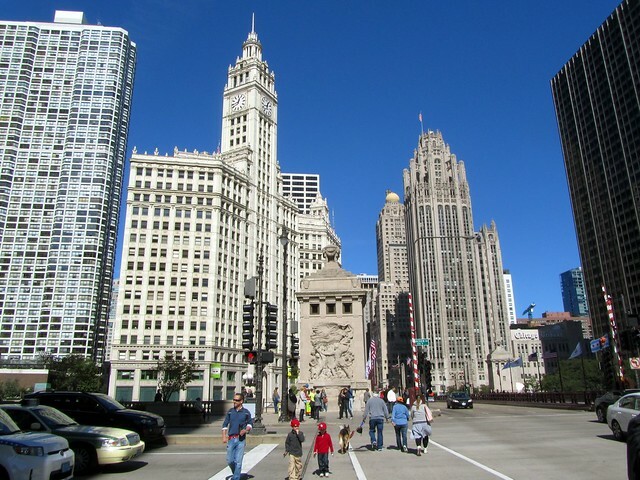 A stroll along any street in downtown Chicago will reveal a melding of architecture styles, from neo-gothic to modern and everything in between. 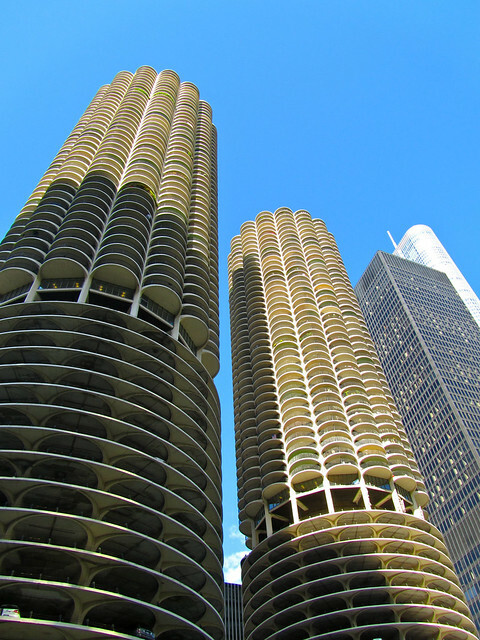 And Chicago is known for this architectural mish-mash. 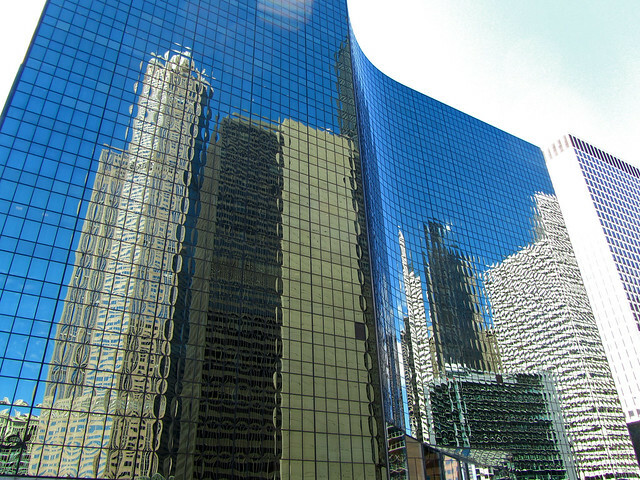 Since most of the city burned down in the Great Chicago Fire in 1871, the city was rebuilt with originality in mind. 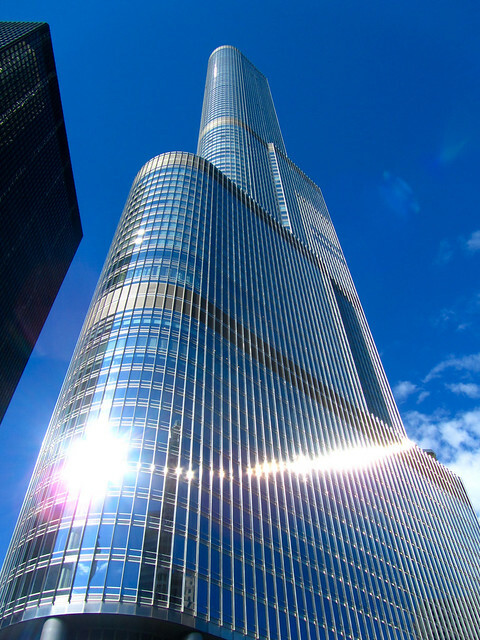 Chicago was where the first modern skyscrapers were built in the 1880s, and the city has gone on to influence architecture ever since. And while you can see Chicago's architecture from many vantage points — on foot, by bike, or even from above inside the Willis and Hancock towers — the best way to admire it is definitely from the water. 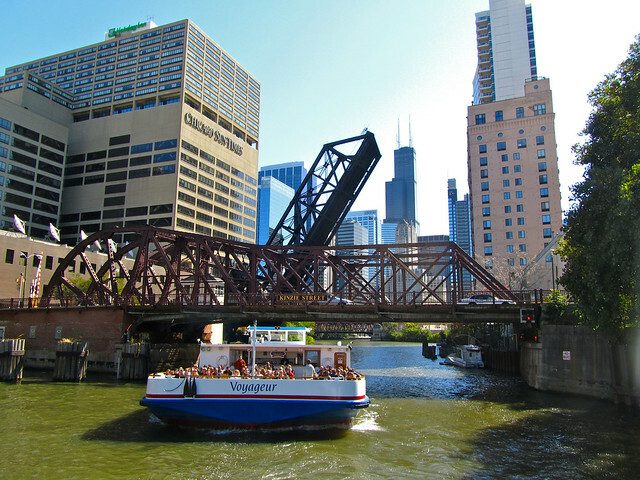 If you're headed to Chicago this spring or summer, be sure to book a ticket on one of the city's popular architecture cruises on the Chicago River. 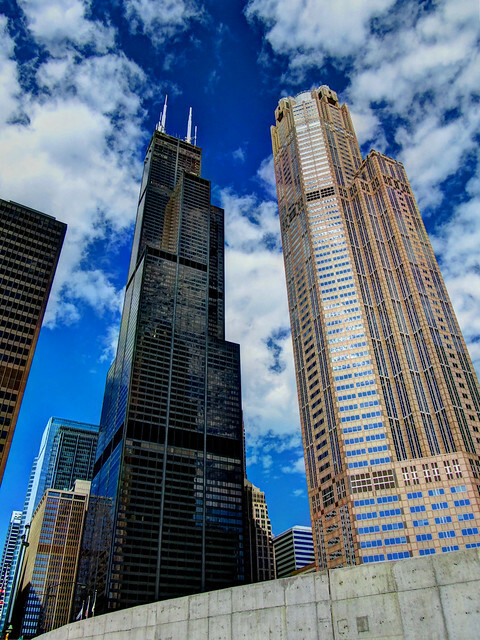 Popularized by the Chicago Architecture Foundation, these tours are the absolute BEST way to really get to know Chicago's unique architecture. 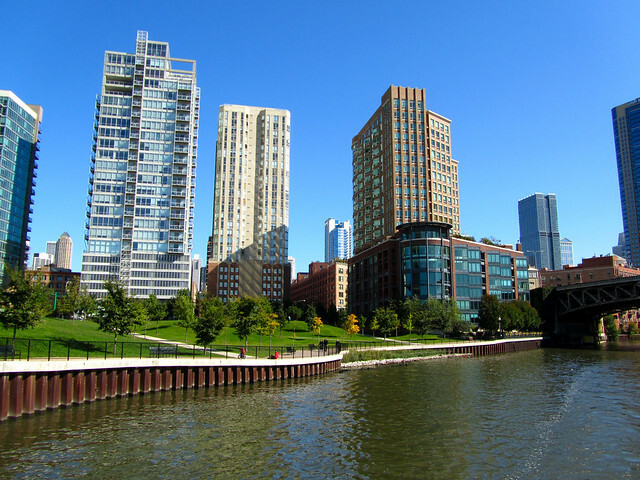 There are several ways to learn more about architecture and design in Chicago, including tours on foot, on bike, and even on segway. But my favorite option is definitely their boat tour. 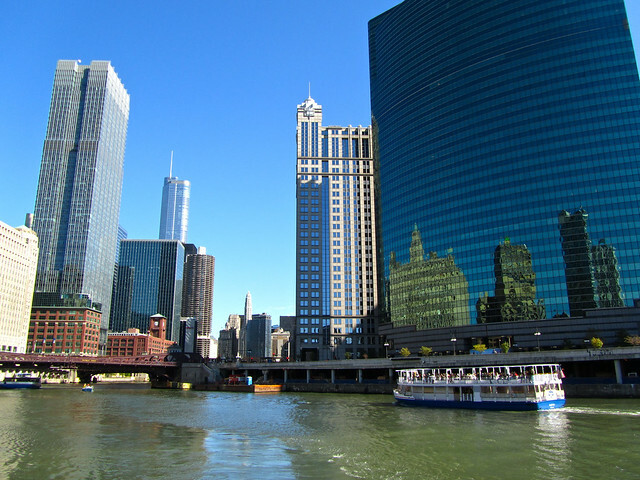 A couple different companies offer architecture boat tours on the Chicago River. The Chicago Architecture Foundation began these tours decades ago, and offer up 90-minute tours that are led by volunteer tour guides known as docents. 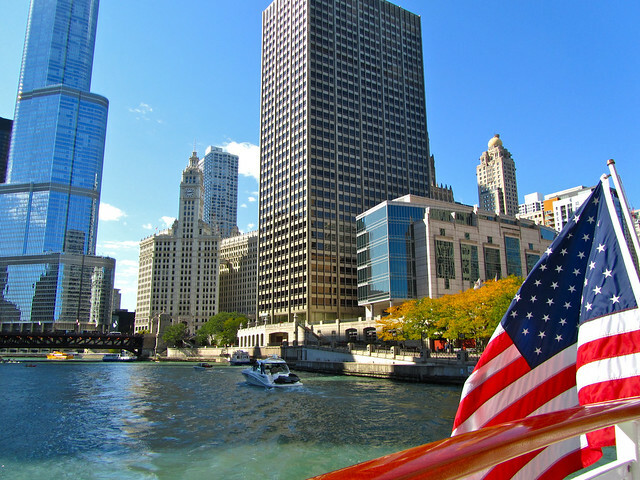 Most tours will cover all three branches of the Chicago River, sailing you past 40+ of the city's most iconic buildings, from the Wrigley Building to the John Hancock Building to Willis Tower. 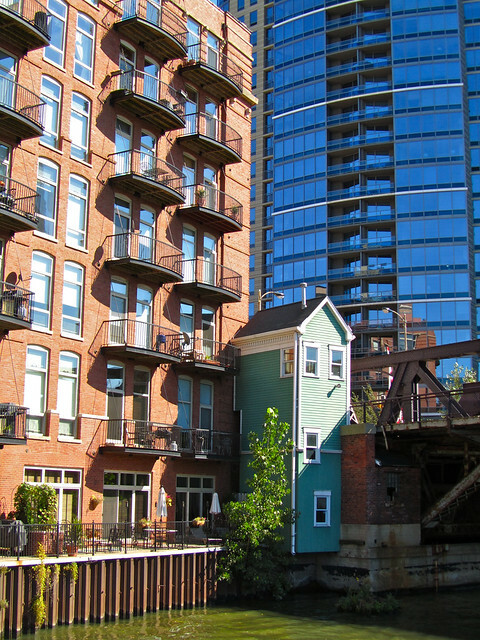 Onboard guides narrate the tour, covering not just architectural styles but also how Chicago as a whole has transformed over the past 100 years. 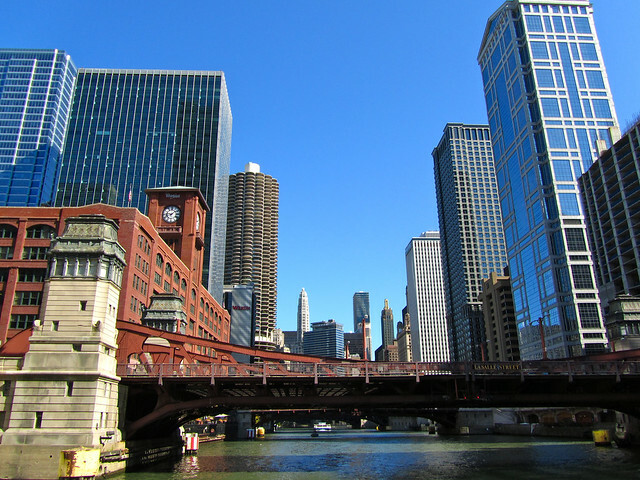 Even if you're not an architecture nerd like me, a Chicago River tour is a must-do. So many different architectural styles all in one place! The Willis Tower on the left (which is actually 9 different towers stuck together). 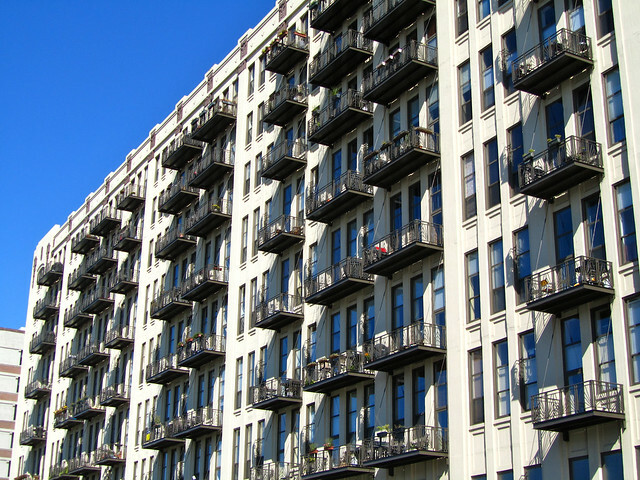 Residential buildings along the River. All sorts of different architectural styles next to one another. 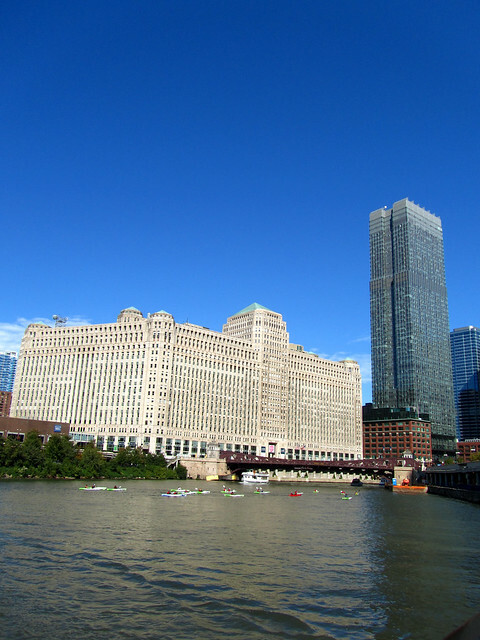 Merchandise Mart, once the largest building in the world with 4 million square feet of floor space. Many cruises will end with a short sail out onto Lake Michigan, which really helps you appreciate Chicago's unique skyline. 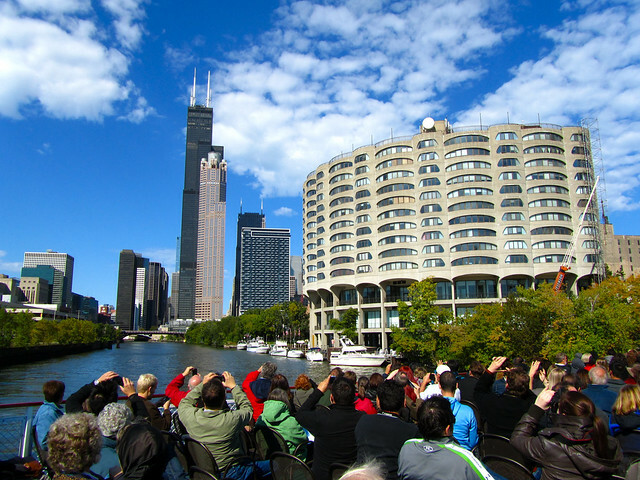 Book your own Chicago architecture cruise here! Needless to say, this is one of my very favorite things to do in Chicago. 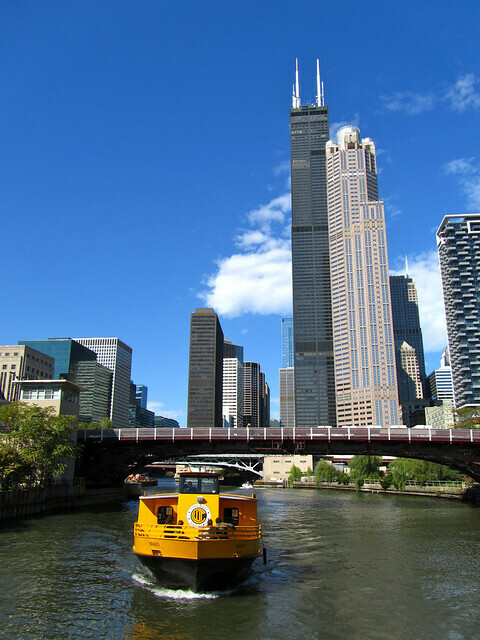 Whether it's your first or fifth time in the Windy City, go on one of these cruises if you haven't already — I guarantee you'll learn something! Is this an activity YOU would want to do in Chicago? I love the river cruises. I always try to get on a board if there is a river in city I travel. You got a good collection of Chicago Cityscap pics. Great job!! I like boats in general, and this is definitely a unique way to see Chicago! It’s not in every city that you can see skyscrapers from this angle! 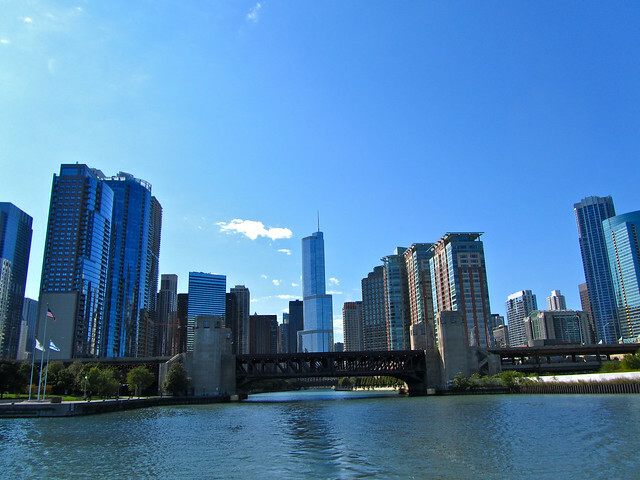 Thank you for the gorgeous photos of Chicago from one of the CAF boats. All our tour guides are highly trained volunteers. I give several of the walking tours that CAF offers. We have 90 tours in all. Check architecture.org for more info. I was really impressed with our guide; like I said in the post, I love volunteer guides. They are always so knowledgable, and so passionate! Yup, it’s definitely something I’d do on a sunny day. Although I’ve been to London several times before, last time was the first time I took the river bus on the Thames and I absolutely loved it. It offers a totally different view on a city. Seeing a city from a river is always neat. I need to do more of the river buses in London; the only time I took one, it was pouring down rain so I didn’t really get to fully appreciate it! 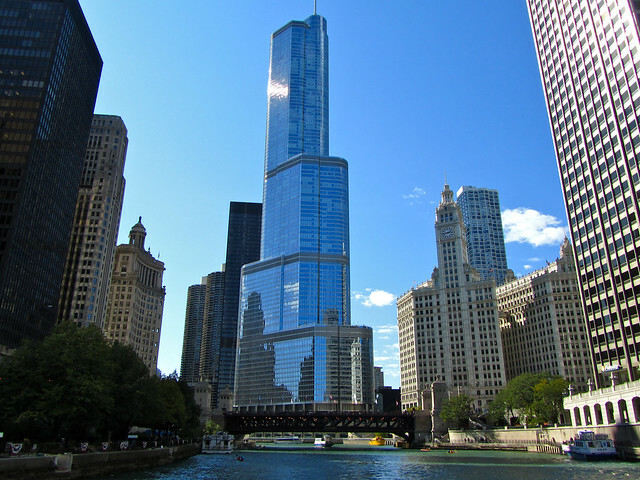 The architecture river tour is my favorite tourist activity in Chicago. Everyone who visits should book it. Right after visiting the Bean and getting some deep dish! You have to level with me. The pictures are NOT from this year. The trees still have no leaves. It is too damn cold here! Love the blog, though! Can not WAIT to leave the states, retire, and just travel around. Good Luck! Nope, I did not take this cruise (or the photos) this year. Actually took it in October 2011, I believe. 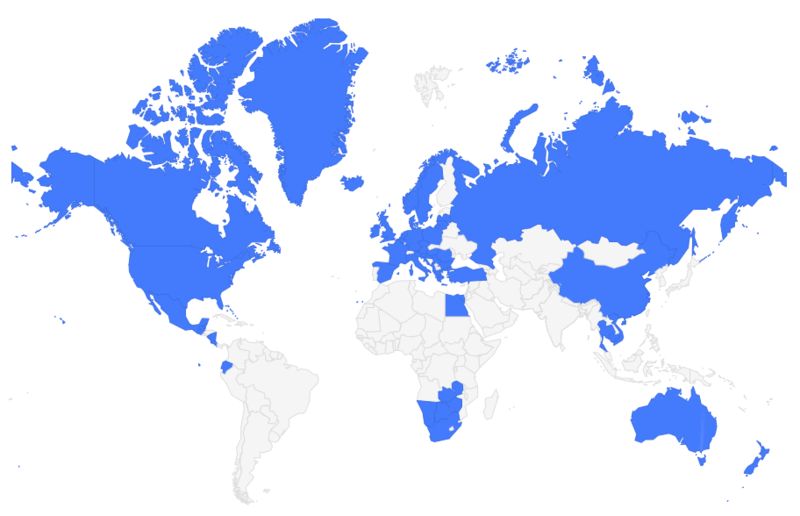 But that’s what great about a travel blog – content like this can be posted whenever! I chose now since the cruising season is just beginning for the year in Chicago! Good writeup about my city. I never did the boat tour, but I have been on the river by kayak, which is also excellent. The boat tour is fantastic! I would probably do the architecture one again because I enjoyed it so much!